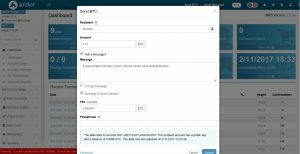 Early this morning, Jean-Luc, lead core developer of Nxt and Ardor, made an announcement on Nxtforum.org about the launch of the Ardor testnet. While some testing was already done by some members of the Nxt community who were very knowledgeable about the platform, as we mentioned in our previous newsletter, much more testing is needed to be done before the launch of mainnet in the third quarter of this year, thus the release of testnet. 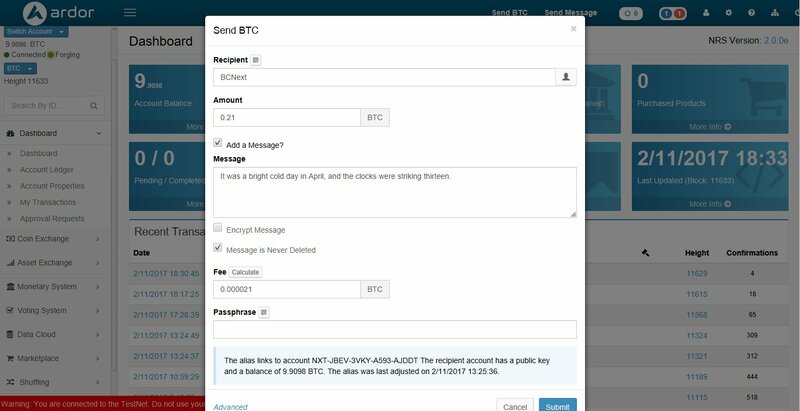 Also, this is a great way to experience the Ardor blockchain without risking any funds as the tokens are given away freely to people who want to try it. At the moment, only .zip and .exe files have been released, so Mac users will have to wait a bit. Riker, core developer of Nxt and Ardor, mentioned that a client for Mac will likely be released in version 2.0.1e. However, users of Linux operating systems as well as Windows (32 and 64 bit) can get started now. Installation is very similar to that of the Nxt client, with the notable exception of some Ardor graphics. Some activity has already been going on in just a few hours after launch. On the testnet Ignis child chain, a poll was started asking users about their favorite animal among the animals mentioned. You can take a look at this by choosing the Ignis child chain on the testnet client, clicking on “Voting System” and then “Active Polls”. Remember, while all transactions are processed by the main chain which takes ARDR, when you’re on a child chain all processing is paid for in the child chain token. So, Ignis tokens are required in order to cast your vote. This is just one of the few things currently being tested at the moment. 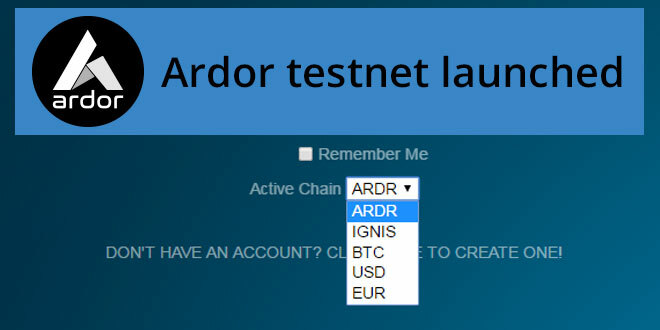 Get the testnet client and to find out how to request test tokens on ardorplatform.org today and experience this new blockchain platform. If you find any bugs, please report them over at Nxtforum on the announcement thread or through one of the channels listed on the website. Travin is the Marketing Director and a Blockchain Consultant of the Nxt Foundation. He occasionally provides assistance with editing and information gathering for Nxter.